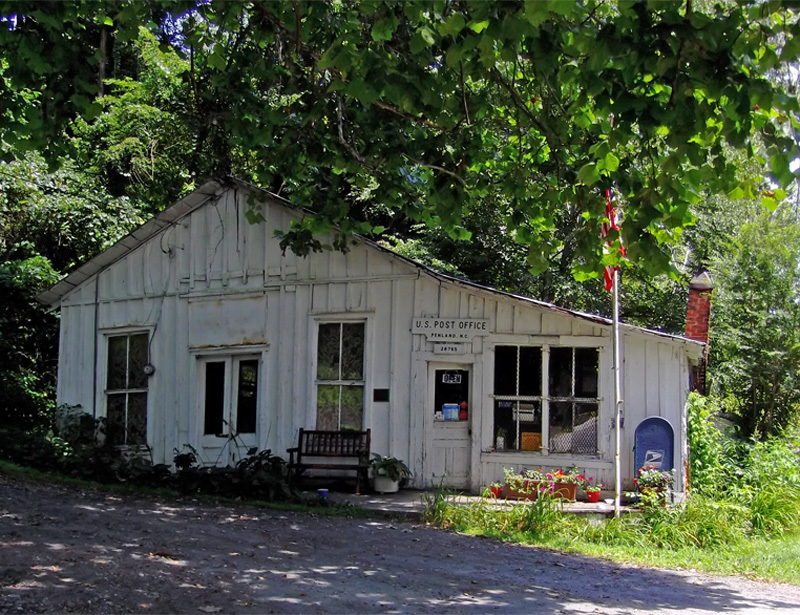 This is the Post Office on the Micaville Loop. Micaville is in Yancey County between Burnsville and Spruce Pine. Just to the right of this building, State Highway 80S begins its climb to Mt. Mitchell. There’s also a very pleasant arts and crafts (and music) shop a little bit to the right. Micaville was the central mica mining location in Yancey County is the 20th century. Not much here now. 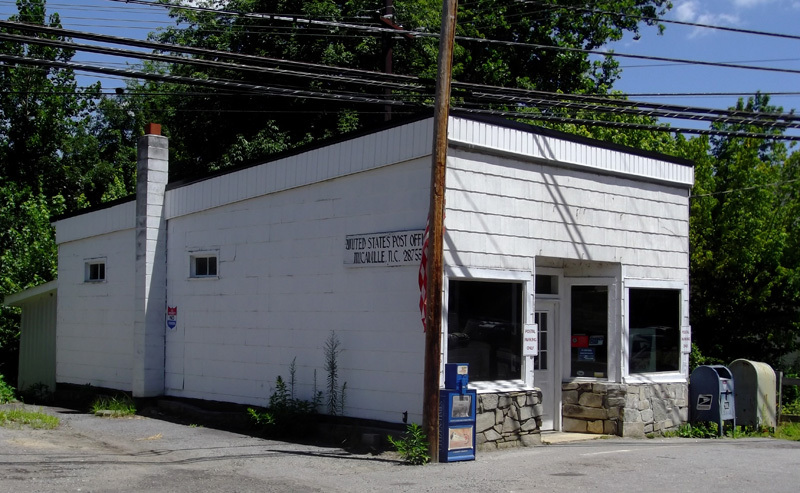 This is the Post Office for Penland NC, also in Yancey County.